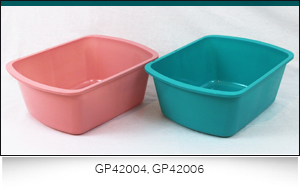 The rectangular and round wash basins are multi-use basins for healthcare facilities. Reinforced rims provide a secure grip when transporting empty or filled basins. Rounded corners, rigid walls, and smooth finishes provide confidence when used in patient care bedside settings.